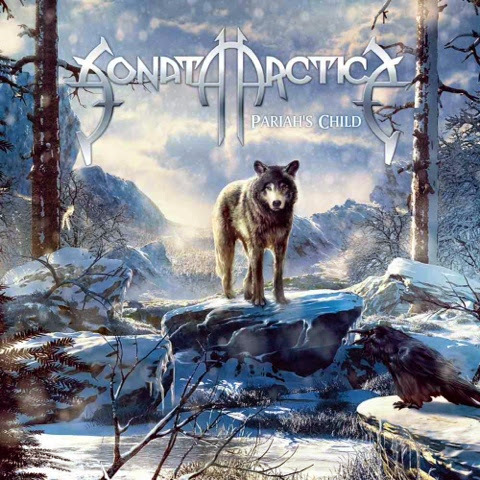 The eighth album by power metal giants Sonata Arctica looks pretty good right. It's got amazing cover art, the old logo, oh and look at that, a wolf is back. I was skeptical after their previous album (Stones Grow Her Name) considering it sucked. Once I put the album on, the first track (Wolves Die Young) made me think "awesome they're back to their old sound". However after the album continues you start to realize it's not quite that. There's a few of there joke songs on here which get annoying real quick. There's a song about drifting cars which might be the most random topic for power metal. Plus the definition of blood is spoken because people apparently don't know what blood is. Seriously guys. The lyrics are cheesy even for PM standards and some of the odd vocal effects Tony Kakko does are incredibly weird to put it mildly. However there are moments where the vocals are some of the best I've heard from these guys too. For better or worse, these melodies will be stuck in your head. Seriously, I woke up with "Cloud Factory" stuck in mine. The ballad "Dad, What Did You Do In The War" is supposed to be emotional but the band doesn't put much conviction into the portrayal. And while "Love" is incredibly cheesy, it's a nice change of pace to hear a slow, simple love song like that in metal. The instrumental sections here are par for the course PM. They're good enough to get by but not super memorable. What stands out on this album is the last track "Larger Than Life". The story about an actor who spends his life trying to get to the top only to realize he focused only on his work and not his personal life seems like it might be a confession from the band. Either way it's a deep song with lots of orchestral parts and good but odd tempo changes. While this album isn't one you're gonna go back to specific tracks for the most part, it's enjoyable when played all the way through. Does it hold up against "Silence" or "Ecliptica"? NO! Is it better than "Stones Grow Her Name"? Yeah.